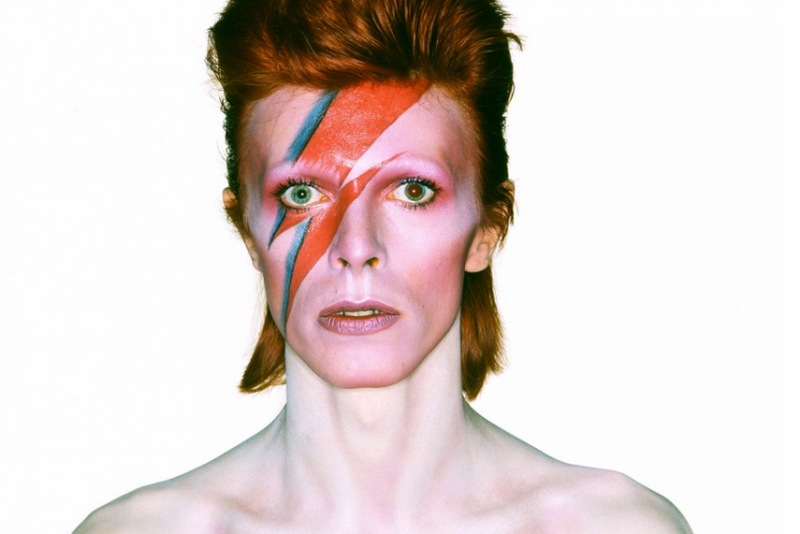 Chicago Mayor Rahm Emanuel has declared September 23rd as “David Bowie Day” to coincide with the upcoming arrival of the renowned David Bowie retrospective, David Bowie Is…, at Chicago’s Museum of Contemporary Art. 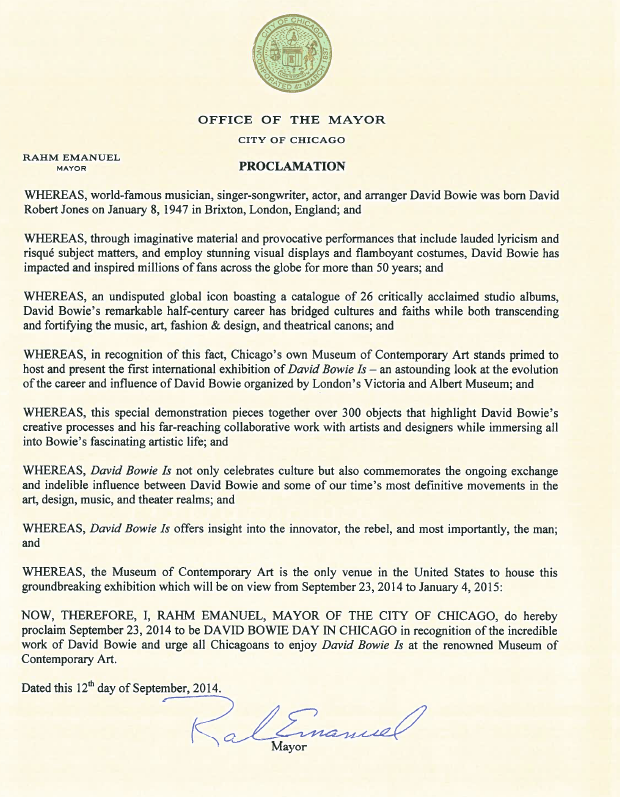 In his proclamation, Emanuel describes Bowie as “an undisputed global icon boasting a catalog of 26 critically acclaimed studio albums,” whose “remarkable half-century career has bridged cultures and faiths while both transcending and fortifying the music, art, fashion & design, and theatrical canons.” Read the full proclamation below. After being displayed in London, Berlin, Sao Paulo and Toronto over the last two years,David Bowie Is… will make its US debut in Chicago beginning September 23rd. The interactive exhibition will feature over 300 items from Bowie’s personal archives, including handwritten lyrics, original costumes, photography, set designs, album artwork, and rare performance material from the past five decades. Multimedia installations accompanying the exhibit will incorporate advanced sound technology produced by Sennheiser, original animations, continuous audio accompaniment, and video.